We are dedicatedly engaged in trading a commendable range of LCD Digital Clock. We are leading supplier & Trader of Color Changing Cube LCD Watch. We are basically deals in bulk quantity in Corporate gift Items. Our products so are of excellent quality. 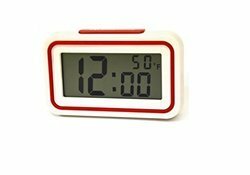 Hanging LCD Alarm Clock with Day/Date/Temperature with folding stand and back-light. It can jumpping and running, you can't catch it until you wake up. A drop height of up to 3 feet (90 cm). Mobility on wood and carpet. A variable snooze time (0-9 minutes)(snooze once before Clocky runs away, or choose 0 and Clocky runs right away). A flashing screen when beeping/running. For controlling power supply to household devices such as air conditioners or sprinklers at a particular time for a set period. Such timers are widely used for controlling lighting in tissue culture laboratories and other scientific applications. Our timer is capable of multiple, programmable alarms and triggers with very low power consumption. 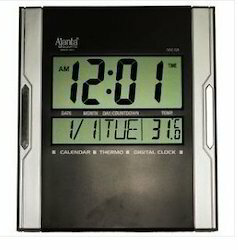 LCD Clock with Pen Holder and clips drawer.